In Washington and Colorado, voters decided last year that marijuana should no longer be illegal for recreational use. Both states are hammering out rules, regulations and policies to cover this new freedom. But landlords can be stuck in the middle, since pot is still illegal under federal law. Many have added simply added marijuana smoking to their overall smoking bans to keep things simple. But if you don’t live or own rental property in either Washington or Colorado, marijuana is still illegal. And as a landlord, you don’t have to put up with any illegal drug use on your property. The best way to prevent it is to implement and enforce a zero tolerance drug policy—and to make sure that every applicant and tenant is aware of it. Put it on the lease application and of course, in the lease itself. Landlords can be at great risk when tenants break the law by using their property for illicit purposes—even if they are completely unaware of it. Hands-on management and close-up monitoring with routine inspections can help you avoid this problem. Of course, you’ll need to give tenants ample notice that you plan to enter the unit, and you certainly can’t snoop through their drawers and closets. So how can you tell if illegal drugs are around? Many landlords will tell you that their tenants aren’t all that careful when it comes to hiding their drug paraphernalia. Or, you might just catch the odor of marijuana wafting out an open window or through a vent when you’re walking around your property. Keep your ears and the lines of communication open, and you might have other tenants tell you that they’ve seen signs that could indicate drug activity. When you suspect tenants are using, buying or selling drugs in your rental property, it’s in your best interest to deal with it. If your lease contains a clause that tenants agree to not violate laws, including possession, use, manufacture or sale of illegal drugs, then he or she is violating the lease agreement. Your next move should be to follow your states laws and initiate eviction proceedings. Evicting over marijuana smoking might seem like evicting over beer drinking, but as long as it’s illegal, you could be open to litigation. It also sends a signal to all tenants that you will always enforce the terms of your lease, 100%. Otherwise, the risk is just too great. When Should Landlords Negotiate on Rent? In many areas of the country, rental vacancies are very low; some are at all-time lows. But that’s not the case in every market. If you’re a landlord or property manager with no available units for lease and a waiting list, you don’t need to worry about whether or not to negotiate the rent. But for those of you who have vacancies to fill, should you be considering it? When you’re in a renter’s market. When local economic conditions are such that vacancies are high and demand is low, that’s a renter’s market. Savvy tenants will read the signs: units staying vacant for months, several open units in the same complex or building, and landlords who seem anxious to get a lease signed. Your tenants moved out months ago. If you have several empty apartment units, or your rental home has been empty for more than a month, it’s probably time to consider negotiating with prospective tenants. Losing a month’s rent for too long can be difficult to make up. You don’t have other perks or amenities to offer. When attempting to attract new tenants, landlords often waive certain fees or pay for a tenant’s Internet service for several months. If you can’t offer other perks, then rent may be your only place to negotiate and bring a tenant to the table. You have a high-quality applicant. When you have a tenant who meets your income requirements, passed your tenant screening with flying colors, has a steady job and gets rave reviews from former landlords, it might pay to negotiate on the rent. And if that applicant is willing to sign a long-term lease—such as two years—you might regret not reducing the rent if it’s a deal breaker. Your unit is overpriced. If your tenant has done her homework, she’ll know what comparable units are going for in your area. If she can walk away and rent another place for less money, you might find it difficult to get a good tenant in your building without matching—or at least coming close to—comparable units. And don’t forget that in negotiation, you also get to ask for what you want. For example, in exchange for lowering the rent, you might get your tenant to agree to pay before the first of the month, or to pay the first few months up front. You could ask for an 18- or 24-month lease. Or, you could ask the tenant to accelerate his move-in date. One of the biggest issues landlords and tenants seem to have is the handling of the security deposit. Smart landlords require them—and all landlords should. Here are some basic points about security deposits you should know and be ready to share with your tenants whenever questions arise. Money collected up front to compensate for damages. At the termination of the lease, any repairs, cleaning fees or other expenses incurred to take care of damages outside ordinary wear and tear will be taken out of the tenant’s prepaid security deposit. Money collected up front to compensate for failure to pay rent, fees and late charges. In case a tenant fails to pay rent, fees or late charges, the landlord may get compensation from the security deposit. The best way to prevent financial squabbles between landlords and tenants. Once the tenant has moved out, it’s nearly impossible to chase him or her down to collect for lost rent or damages. The last month’s rent. You should not allow a tenant’s security deposit to be used as the last month’s rent. They are two separate categories. Tell all tenants that they need to pay their last month’s rent, and after they are all moved out, you will conduct an inspection and walk-through to determine whether there are any damages to the property, and how much, if any, of their security deposit they will receive back. A savings account. Some states, such as California, require landlords to pay interest on security deposits held for at least a year, but most do not. California landlords may elect to hold the security deposit in an interest-bearing account or pay the interest established by a state commission. However, most states do not have the interest-paying requirement, and therefore, landlords may return all, a portion of or none of the security deposit to the tenant without any additional interest. Check your local and state laws. The landlord’s money. It is your tenant’s money, which you are holding as a small insurance policy against the possibility of loss due to damages or unpaid rent, fees or late charges. Smart landlords deposit tenants’ security deposits into separate accounts which they do not use for business expenses. By the Way: It’s not up to the tenant to determine whether he or she has caused any damage. Checklists and photos of the rental unit on move-in day and move-out day are a great way to document any needed cleaning or repairs. What Could You be Liable For, as a Landlord? One question that many new landlords ask is whether or not they are liable when a tenant suffers injuries or damages while living in the rental property. Others wonder if they need landlord insurance, or if their homeowner’s policy will cover them. We’re not insurance experts, so if you have questions specific to your situation, consult your insurance agent. But we can offer some common-sense guidelines. First of all, when you become a landlord and lease out your property, you take on more risks. In many states and cities, landlords are also held to certain rules regarding safety. So if a tenant falls down the stairs, for example, you could be liable for her injuries, depending on whether or not proper handrails, non-skid surfaces and other safety measures are in place. If you have followed all the rules, the tenant’s personal insurance might cover her losses. But if not, she might try to seek retribution from you. What about when a water pipe bursts and water leaks in your rental unit, soaking the carpet, damaging the ceiling below or soaking into the drywall? Water can do a lot of damage, as can fire. You need to protect your business and personal assets from the costs of rebuilding from fire, water and smoke damage. These are three good reasons to have landlord insurance. A liability policy will protect you from damages. However, it’s important to realize—and tell your tenants—that your liability policy will not typically cover their possessions. They’ll need their own renter’s insurance for that coverage. Renter’s insurance will also cover tenants if they are negligent and cause injury or damages. It’s a good idea to require tenants to have renter’s insurance. Start your tenant relationship off right by knowing who you’re leasing to. Protect your rental property and assets with tenant background checks. Proper tenant screening will ensure you are leasing to the best possible tenants. Have you ever heard a tenant explain that they broke the rules of the lease because they didn’t know or realize what those rules were? Or because they thought they heard you say it was okay? Many an experienced landlord can tell stories about the misunderstandings that go on nearly every day with tenants. That’s why it’s so important to establish good communication from the start of your relationship with every tenant. Never assume. Don’t assume you know what a tenant is thinking or planning. Put it in writing. Especially when it comes to changing the terms of a lease, such as allowing a roommate or a pet, put it in writing and have all parties to the lease sign and date it. Even if it’s simply to use an extra parking spot, don’t rely on verbal agreements. They’re difficult to remember, not to mention prove in court. Over communicate. If you’re going to err on either side, over—don’t under—communicate. Use multiple platforms. Some tenants will prefer to talk with you on the phone, others via text. Still others will only respond to email. 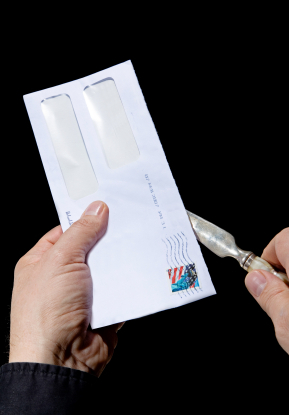 All legal correspondence should be delivered through the U.S. Mail. Ask questions. Whether you’re reviewing the terms of the lease, or making an appointment for a maintenance call, make sure the tenant understands what you’re saying by asking clarifying questions. And if you’re unsure about what the tenant is saying, ask again. Listen. Be an active listener. Make eye contact. Watch body language. Repeat back what you’ve heard and ask if that’s what the tenant really meant. Don’t interrupt. Show interest, provide feedback and be patient when your tenants are speaking. Good communication takes some effort, but remember that your tenants are your customers, and establishing positive communication will go a long way to keep the relationship positive. We recently noticed a news story about a tenant complaining her landlord asked her to post a “Do Not Flush Tampons” sign in her bathroom. Apparently, the landlord blamed the tenant for plumbing problems in the four-unit building that was built in 1945. The story unleashed quite a response, mostly consisting of stories describing plumbing problems caused by all kinds of things that shouldn’t be flushed. Whether the landlord was justified in asking the tenant to post the sign was no longer the focus. Interacting with tenants invariably means dealing with complaints—whether they’re about you, the neighbors, the heat or any of the other approximately 10,000 subjects tenants complain about. First, it’s important to establish good communication with tenants from day one. While you don’t want to encourage them to find fault with everything, do let tenants know that you want to know when they have a problem. Having the opportunity to make repairs keeps your property in top condition, and allows you to check on how the tenant is treating his or her unit. Devise a tracking system. Ask tenants to make requests in writing, and follow up in writing. Create an official form and have tenants complete it, or accept requests by email. You never know when you’ll need written records to back up your actions, so make this a standard procedure. Record details of how you handled the complaint. Include dates, times, notes about repairs made and when you followed up with the tenant. These details are important in case the tenant withholds rent for non-performance. If a tenant complains about fellow tenant’s behavior, parking habits, noise or other issues, don’t ask them to handle it on their own. Approach the offending tenant, point out the lease provision that prohibits whatever behavior that is offending the other tenant, and ask them to stop. It’s best to not identify the accuser. If the behavior continues, move on to written notices. Most tenants will have issues at some time or another. Experienced landlords know that this is part of the job. But how you handle complaints can make a big difference in your tenant relationships, your stress level and your success. Landlords typically include language in the lease that prohibits subleasing without permission. But what exactly is subleasing, when and why would a tenant want to do it, and how should landlords proceed? Subleasing is different from transferring a lease to another party. In the latter situation, another tenant takes over a current lease and the original tenant is absolved of any responsibility for its terms. In subletting, the subtenant is granted the rights contained in a sublease, but the original tenant is still responsible for the terms of the original lease. In essence, the subtenant is renting from the original tenant, who is still bound by the contract with the landlord. For example, a subtenant is allowed to live in the unit but must pay rent. If they do not, the original tenant is still liable for the missed rent. Tenants might be interested in subleasing if they are going away for an extended length of time, but wish to return to their apartment. It wouldn’t make sense to go to the trouble of subleasing for a trip of a few weeks. But if your tenant were planning on traveling through Europe or South America for three months, subleasing is a way to cover the rent without having to break the lease and start over when they return. 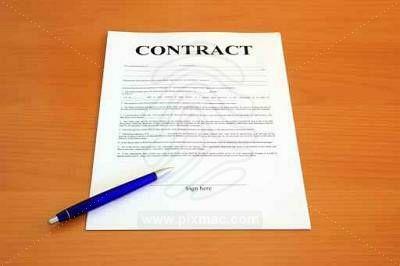 Write up a Consent to Sublease agreement between yourself or your company and the two parties. Include elements such as effective date, the tenant and subtenant’s names, the property address, and the monthly rent. Be sure to state that the tenant is still responsible for his or her duties under the original lease. If you decide to allow subleases, be sure to create a policy. Don’t let one tenant sublease, and forbid another from subleasing. This could lead to charges of discrimination. Be sure your tenant also has a sublease agreement with the subtenant. This is a different document from your Consent to Sublease agreement, and covers the legalities between those two parties. If expectations are not made clear, you could find yourself stuck in the middle of their disagreements. Keep in mind that if the subtenant damages the unit, leaves before the lease expires or breaks any other condition of the lease, you may hold the original tenant responsible. He or she can will have to get satisfaction from the subtenant. Just as you screen all your prospective tenants before signing a lease, you should make it clear that any subtenants will also be required to undergo tenant screening. Subleasing can be a hassle, but if you have good tenants whom you want to keep, allowing them to sublet while they’re away can make sense. Remember, it’s completely up to you! Can Landlords Ban Firearms From Their Properties? It’s true that guns and gun laws are a hot news topic. Many landlords are wondering if they have the right to ban firearms from their properties. The answer in most places is “yes.” It’s always best to check your state and local laws to be sure. Minnesota, for example, does not allow landlords to restrict the lawful carry or possession of firearms by tenants or their guests. While the second amendment to the U.S. Constitution is widely quoted by firearms owners and enthusiasts, it only covers the government’s response to guns held by private citizens. 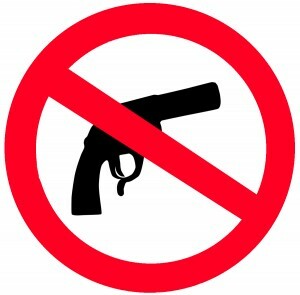 Just as landlords can ban pets, waterbeds and campers, they can ban guns from their properties. If they prefer to keep a gun-free property, landlords can choose not to rent to gun owners, who, unlike persons with disabilities or other groups, are not a protected class. Now, we’re not saying that banning guns will make a landlord more popular. It might make prospective tenants angry. Some gun owners might ignore the rule and bring guns onto the property anyway. If you do find a firearm on the property, the tenant would be in breach of the lease. But if you feel better instituting a no-guns rule, check with an attorney versed in landlord-tenant law, or check your state’s gun laws before instituting it. For tenants with current leases, you’ll have to wait until renewal to add the new provision. Some may choose to move out. And of course, once you have a signed lease, you would not be allowed to conduct a search of a tenant’s unit to look for firearms. Even in a good rental market, it’s important to hold onto good tenants. What defines a “good tenant?” Well, nobody’s perfect, but if your tenant pays the rent on time, follows your rules and doesn’t cause any problems, that’s pretty close! But good tenants sometimes fall short, and it can be tempting to draw the line and get rid of them in favor of an even better tenant. Or you might just cross your fingers and hope they move at the end of the lease. Unless a tenant is breaking the terms of the lease by paying rent late, keeping pets that aren’t allowed, smoking or making too much noise (or any of the long list of grievances landlords have against their tenants), it might be worth your while to let them stay or to entice them to renew their lease. Keeping good tenants is just good business. Turnover costs money. When a unit is empty, it creates no income. In the meantime, you still have associated overhead costs. Taxes, mortgage expense, lawn service and interest will go on after the tenant leaves. It might not take long to get a new tenant, but then again, it could be a month, two months or longer. Getting new tenants costs money, too. You’ll need to clean the unit, have the carpets professionally cleaned, touch up the paint (or do a complete repaint) and do all the necessary repairs. Plus, you’ll need to advertise the rental, conduct tenant screening on applicants, and take the time to show the unit. Empty units look bad to existing and potential tenants. Your other tenants may wonder why others are leaving. Prospects may see “for rent” signs in front of your property too frequently and wonder what’s wrong. On the other hand, stable tenants mean a stable property. Stability is very valuable in the long run, both financially and in terms of landlord sanity! While no landlord or property manager should ever allow tenants to pay the rent late, break the terms of the lease or walk all over you, good tenants are worth keeping. If you’re a landlord, you know there are some drawbacks to the business, like tenants who don’t pay rent on time, problems with noise and tenants who don’t take proper care of your property. 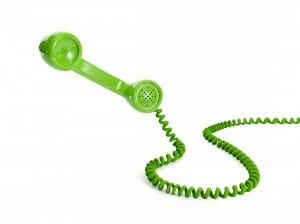 It’s true that at times, your phone rings late at night with tenants’ plumbing and heating emergencies. And it’s true that some tenants must be evicted, which can cost you a bundle of time and money. All of these problems will probably occur to most landlords at some point. But what could make each of these tenant problems worse? If they were happening in the same building in which you live! Messy, noisy tenants are one thing, but when they live next door, it’s a bigger nightmare. Tenants who constantly pay rent late are even harder to be nice to when they live downstairs from you. Having tenants for neighbors can be unpleasant, but for many landlords, it’s a way of life. When you own a multi-unit building and have to live somewhere, why not live in your own property? You can keep an eye on tenant behavior, and put a stop to things like criminal activity, a business running out of the unit, or actions that are in violation of the lease. If the property needs any exterior repairs, you’ll know immediately. Undesirable tenants may keep looking when they hear you live in the building. You’ll care more about the property and take better care of it. Your tenants are not far away when it’s time to collect rent—and they can’t hide from you. Communication might be easier when you see your tenants on a regular basis. 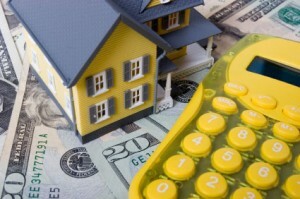 You can take advantage of owner-occupied mortgages, insurance policies, etc. You can subsidize your own housing costs. Tenants might knock on your door at all hours to complain or report a problem. Noisy tenants will affect your peace and quiet. It’s harder to live next to a tenant with whom you have issues. If a tenant locks him or herself out, they’ll be knocking on your door. Shared areas might not be maintained to your liking. Live-in landlord situations can be successful, if both parties work toward it. Be sure to keep the communication flowing, respect your tenants’ privacy and address little issues before they become big problems. The contents of this article are intended for general information purposes only, and should not be relied upon as a substitute for obtaining legal, investment or tax advice applicable to your situation. Are Your Prospective Tenants Checking You Out? Why Check a Tenant’s Employment and Rental History? Where Should Real Estate Investors Buy Rental Properties?